← Enter to #WIN Karen’s Killer Book Bench Blog Giveaways!! Historical Western Romance, because that’s what I like to read. Flying. I often dream about flying. I think that’s why I love to snorkel, it’s like flying. I often get stuck because I’m not a plotter. I just keep writing anything until I get unstuck. It usually works. When it doesn’t I turn to my critique partners and we brainstorm. Prime Rib. It’s easy and very good. Conflict is the most difficult. I have a really hard time with it. I can easily write you a very nice story and it will have no conflict in it. Ben is very protective of what he deems as his. His weakness is he’s afraid to fall in love. My next book is a secret, but I can tell you it will be out October 1st. 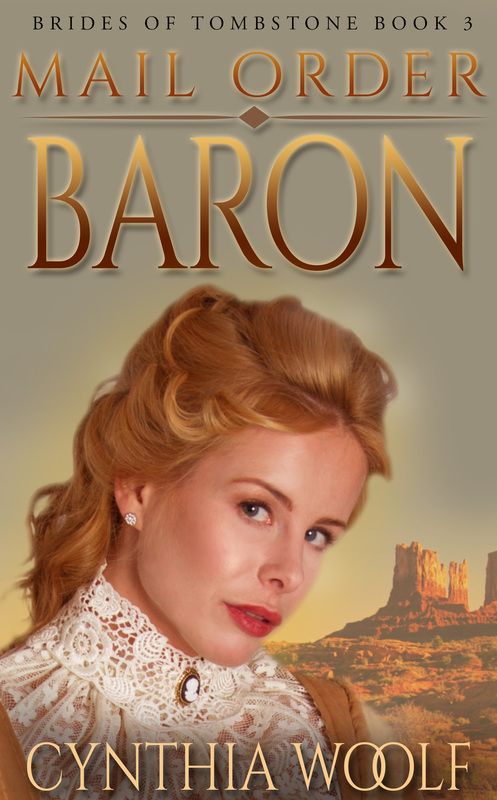 Be sure to come back to read more about Cynthia and MAIL ORDER BARON on Wednesday’s Karen’s Killer Book Bench. Happy Reading! Thanks for an interesting interview. I’m jealous that you can function well on only 4 hours or so of sleep! Hi, Cynthia! I’ve read several of your books and love them. Thank you so much. I love hearing that readers like my books. Thanks for having me back, Karen. Great interview. As a writer, I often times get stuck as well. I hope I win the giveaway!